As you probably know, I have a thing about trying to grow organic sweet potatoes. If you want to read my Sweet Potato Saga 2013, you can go HERE and HERE and HERE. The SPS 2014 is in full swing. I started the new slips early this year. 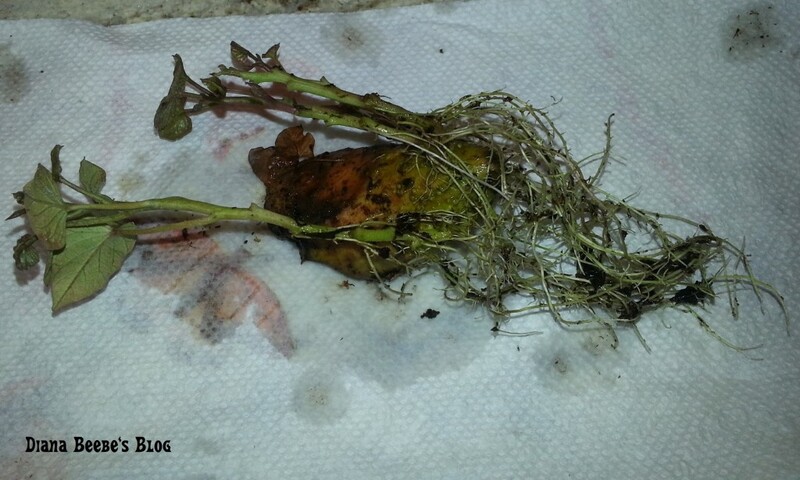 My thought was that I could plant the sweet potato slips early if it warmed up enough. HA! We all know how winter has been behaving. They were all growing long, beautiful root systems in the cup of water on the window sill. One of the four surviving slips started losing its leaves. Noooooo! My goal was to grow more this year. You can’t grow more if you don’t plant more. I had to save the slips! The sad little slip that had lost its leaves had also lost all its roots. How does that happen? I have no idea, but the slip has new leaves growing. 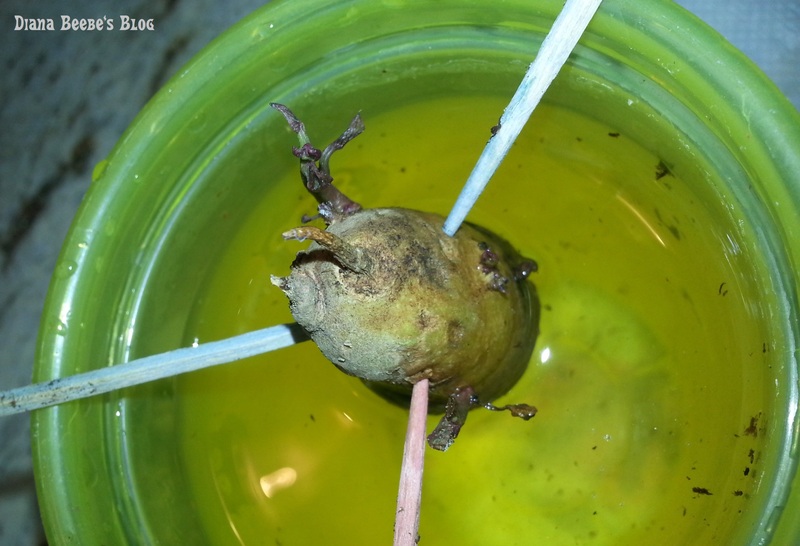 I left it in the cup of water to see if it will grow new roots. Maybe it’ll grow again. Maybe all is not lost. Since I started writing this post, one of the slips I planted in soil has lost all its leaves its leaf. I dunno. Last year, the slips lost their leaves after I planted them, but then grew like crazy. I’m I really down to 2 now? We’ll see. In other news, the broccoli that I left for the bees is toast. 🙁 That last polar blast destroyed the plants, even though I had them covered. Let’s hope this Spring Break really is a lead in to actual Spring. I might have to do what my Way Up North friend, Elen Grey did and buy some spring! She takes cool pictures, too. What’s going on with you this week? Any continuing sagas in your life? 😀 Have a great day!